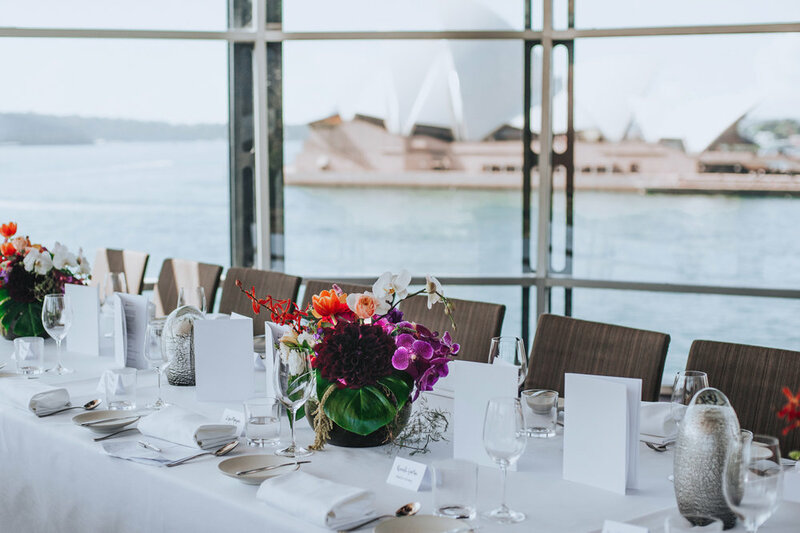 To celebrate the launch of this year's Hunter Culinary Association Food Fight, House of Airlie hosted an intimate lunch with Sydney media and participating chefs at the spectacular Quay Restaurant. Overlooking Sydney Harbour, the launch event was the perfect opportunity to showcase to media the breadth of talent involved in this years event and announce that, for the first time in its eight-year history, some of the country’s top chefs will go head to head in the fiercely contested battle for ‘Top Gun’ status. This year four chefs, Rob Kabboord (Chef de Cuisine: Quay Restaurant), Aaron Ward (Sous Chef: Sixpenny), Sean Townsend (Head Chef: Muse Kitchen) and Gareth Williams (Head Pastry Chef: Restaurant Mason) will prepare one lunch course matched with a Hunter Valley wine, with guests voting for their preferred dish. Food Fight is an annual event organised each year by Hunter Culinary Association (HCA) and will be hosted by Colin Fassnidge of 4Fourteen and My Kitchen Rules and Matt Kemp of Q Station in Manly.